Lately there has been a huge movement towards sustainability and reducing one’s carbon footprint. With so much baby gear out there, there aren’t too many ways to cut down on waste. But cloth diapers can be an easy, and relatively inexpensive, way to help contribute to a smaller carbon footprint while also benefiting your baby! I asked two former clients if they would answer some questions about their decision to use cloth diapers to help #makeclothmainstream. What made you choose to use cloth diapers? Jenn: I thought about cloth and read a lot about it and the main reason was environmental. All those diapers in landfills is absolutely outrageous. Another motivation was money- we save a lot with cloth diapers. I think the math shows you save about $300-500 per year by using cloth, but I am not sure on the amount. 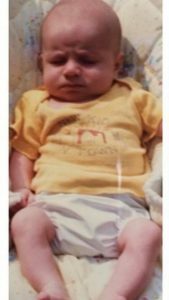 The other reason is that I have a friend who cloth diapers and gave me lots of advice, so it was nice to have that helping hand in a world I knew nothing about. 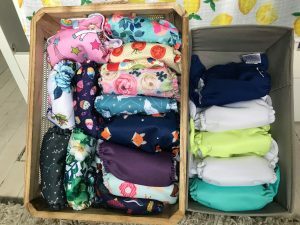 Anne: My husband was cloth diapered as a baby and I always chatted with my mother-in-law about cloth diapering and how she managed it with three boys under three. We started Googling and I showed her a few modern cloth diapers – she was very intrigued by how awesome the construction was. They have come a long way from pins and rubber pants! I decided to try it when Michael (my oldest) was he was about six months old. How much do cloth diapers cost? Where do you buy them? Jenn: I bought all my cloth diapers online. 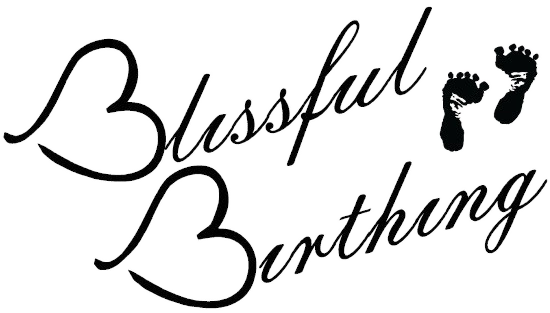 I first started with a few just to see how I liked it and I bought BumGenius from Target. And then I looked into cheaper options because BumGenius are about $20 per diaper, which is a lot! I found other brands that are about $6 per diaper like Mama Koala or Alva. Cloth diapers are not very mainstream so I have never seen them sold in a retail store- only online. I buy a 6 pack of “pocket diapers” for $40 on Amazon with free shipping. BumGenius has pocket diapers too, but the ones I have from them are called “all-in-ones” and those are more expensive. 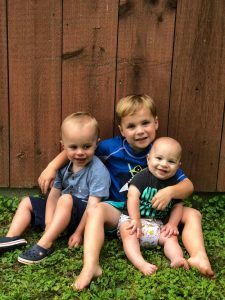 Anne’s 3 sons – all cloth diapered! Anne: Cloth diapers can range in prices depending on the type of cloth diapering you plan on using. A generic “no name” brand of diaper is going to run on the more cost effective side, while a brand name will cost more. The most economical methods I have seen and tried range from use of a cover (Thirsties is a brand I have used and loved which retails for about $12 per cover) with either a cotton prefold (Osocozy is a brand I have used and loved as well and retails for about $13 for a six count) or use of a flour sack towel in place of a prefold (you can generally find these in packs of 12 ranging from about $15-$22). The more costly diaper brands are generally your all in one diapers. They are probably the fastest in terms of diaper changes and fastening a diaper, but the price tag may be a deterrent for some. You can find a vast selection of cloth diapers on Amazon, there are also websites such as Nicki’s Diapers and Kelly’s Closet which sell a variety of different cloth diaper types as well as different brands. Another option for purchasing is to buy directly from the manufacturer. GroVia is an example of one, and if you sign up for their email list they can email you about new print releases and or sales that will be happening. Tell us about prepping them for use. Jenn: When you first get them you just wash as normal clothes and dry in dryer. You can also line dry if you would rather- some people say the sun really helps whiten them. The wash routine, I have learned, varies quite a bit depending on your washing machine and detergent used. We have a top load washer with an agitator and I use Eco (plant based) soap. With plant based you have to use hot water. Anne: There are many ways to prep new cloth diapers. Generally as a reference point I refer people to Diaper Junction‘s website for prepping instructions. What do you do about the poop (both at home and when out)? Jenn: So poop from breast fed babies is water soluble so you don’t need to do anything to it. I used to rinse it off and spray with a spot remover but I read you didn’t have to. I tried one night and they came out squeaky clean so now they all get tossed in. The poop comes out in the pre-wash. When we go out I bring about four diapers (depending on our activity) and a “wet bag.” When she goes I toss the used diaper in the wet bag and then add to the bucket to wash when we get home along with the wet bag and then reuse. Anne: I wash my diapers once every other day. I have a diaper sprayer hooked up to my son’s bathroom toilet made by Spray Pal, as well as the shield and clip to clip the diaper onto and to avoid water from spraying outside of the toilet bowl. I only use the diaper sprayer for poop diapers. Newborn poop, or a baby who is not yet on solid foods, does not require you to spray after a bowel movement. Newborn poop is water soluble and easily washes out in the washing machine. I also have a giant wet bag conveniently located just next to my changing table to all I have to do is toss the soiled diaper into the wet bag. They are about the size of a standard laundry bag and they also make really cute travel sized wet bags for cloth diapering on the go. What is your wash routine like? Jenn: Here’s a photo of the steps we take when washing our diapers. We wash roughly every other day. Anne: I wash my diapers in blue tide and will throw in a GroVia Mighty Bubbles pod once a month to strip them of any water or mineral build up and to get any set in urine odors out. I dry them in my dryer. Sometimes I will lay them out in the sun if there is a set-in poop stain. The sun actually works wonders at lifting these!!! 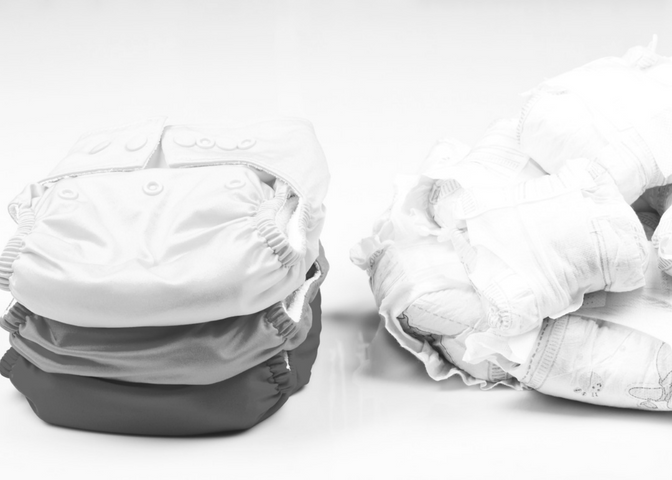 What would you tell someone considering cloth diapering? Some of Jenn’s daughter’s cloth diaper stash. Seriously, HOW CUTE?! Jenn: It really sounds cliche but it’s so much easier than you would think. AND that baby poop comes out more liquid than solid (which was news to me! Lol) and so you don’t have a lot of of poop (at least for breastfed- I don’t know about formula). It makes me feel so much better knowing that I am not adding to so much waste into our environment. Also- the prints are so frigging adorable. Cloth diapers are really cute and some moms have about 150 diapers in their rotation!! I have around 30 and I can make with washing diapers every other day. I also have day diapers and night diapers. Anne: I would tell someone new to cloth diapering or cloth curious to try first replacing a disposable diaper a day for a week. This will give you a sense of absorbency and how you like using them before shelling out any upfront cost. Generally it takes some detective work to figure out which cloth diaper type and which system works best for you and your baby. If you find yourself enjoying it you can then try cloth diapering just at home. But, if you are like me and want to go all in my best advice is to take great care of your diaper stash for longevity purposes and to join some Facebook cloth diapering support groups to ask questions and to bounce ideas off of some veteran cloth parents.